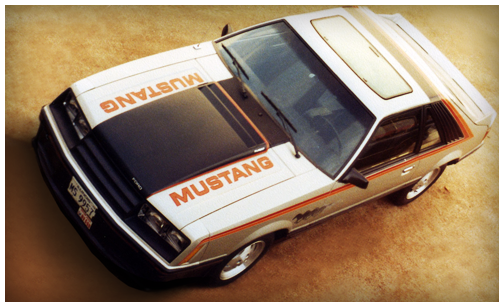 1979 was a year of rebirth for the Ford Mustang. The auto industry was coming through the aftermath of a world-wide gas shortage, and the consumer landscape was unsettled for Pony Cars. 1980 Continued another year of searching for the recipe. 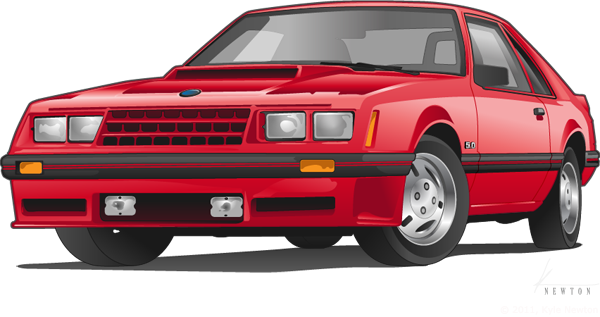 1981 brought a factory sponsored Mustang back to the IMSA circuit – with a 4-cylinder. 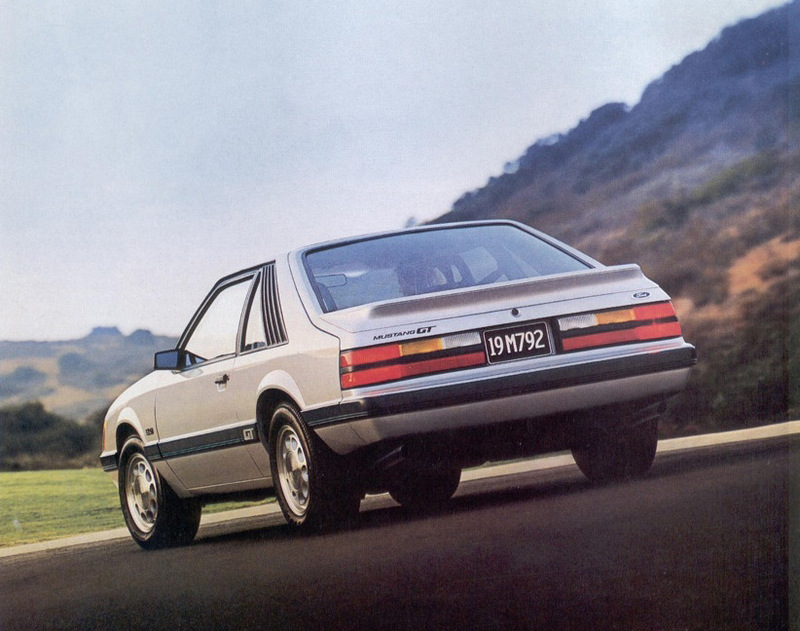 The 1982 Mustang was the first of breed. Eventually the shape of headlights quickly approaching would give pause before excitement. The automotive industry was reeling from an energy crisis, consumers we’re throttling back spending, and cars weren’t being purchased for sheer horsepower anymore. Yet, these few short years of trial and error refined the recipe for modern affordable performance. 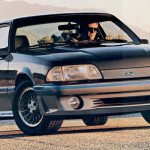 The third-generation Mustang was sharing a chassis with wagons and mushy commuter sedans. The powerplant of choice was still years away from being hammered out. In spite (or because) of all of these conditions, early Fox-Bodied Mustangs retain a large and loyal following. Let’s face it. In 1979 The faithful were nervous. A new Mustang was coming. 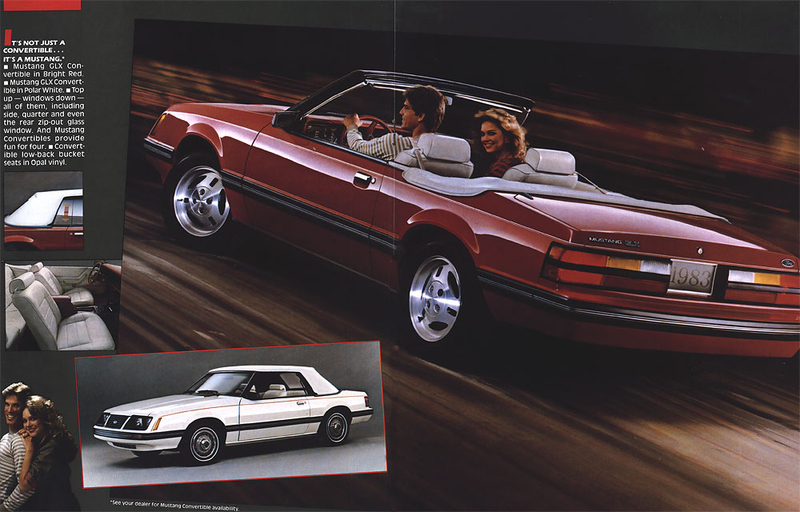 It was going to be different, but would it be better than the 1978 Mustang? Please say yes. This may be the lowest rated HP for a V8, ever. Choices for power were between this and the turbo 4-cylinder. Want the good news? Traction-Lok and T-Top is available as a new option. What’s the bad news? The engine choices have not improved. The turbo option was no longer available, and a 6 cylinder was added to the stable. But more importantly, the 5.0 L HO V8 is offered in a Mustang. This is the year of the convertible and the dawn of something new. SVO. The 2.3 turbo platform returns with additional goodies. 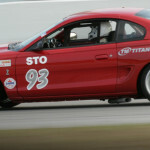 Mustang continues to improve performance of the GT and the SVO. Available body styles include hatchback, coupe and convertible. The last year of the 4-eyed headlights and no more SVO. 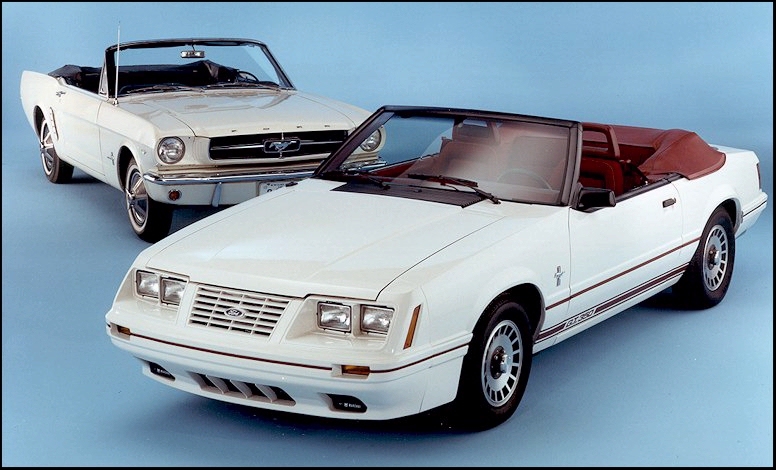 The first four years introduced a lot of promise for the Third Generation Mustang. But there were a lot of important refinements in the 1980s. Things were about to get fast, quick. The turbo is back as an option – and this time it doesn’t catch fire. The convertible arrives, and the GT gets a new Borg-Warner T-5 transmission. Many changes for the 1984, but an upgraded engine is not one of them. Some trim-level names change, and the SVO is introduced mid-year. The upgraded powerplant finally arrives. Thanks to stainless steel headers the V8 is producing more than 200hp with a carb. Mustang is becoming a performance car. The 5.0 is now creating 200hp with SEFI fuel injection. Torque is a respectable 265 lb/ft and the new 8.8 rear differential helps plant the power. The LX can be had with a docile 4-cylinder or a healthy V8.. The final four years for the Third Generation Mustang give the final chapter of a legendary rebirth. Bye bye four-eyes. The big change for 1987 is not in the driveline. The ninth year of the fox-based pony gets a face lift and drastically changes the headlights and bumper cover. 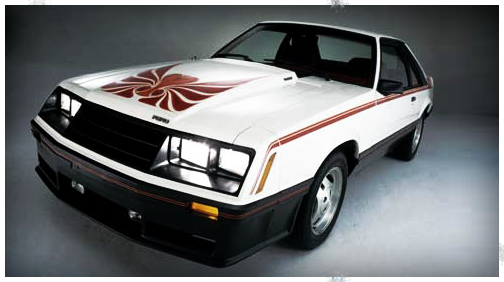 So the launch of the 1979 Mustang was just successful enough to not cancel further efforts. Fantastic. 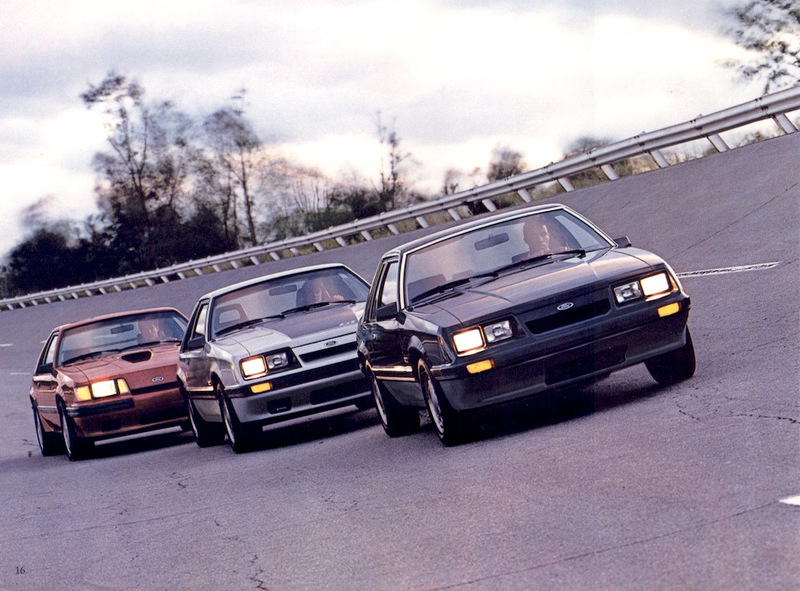 Ford learned a few things (good and bad) about new initiatives and refined this year’s Fox Body appropriately.